Note: If you use Parallels Desktop for Mac, follow the installation steps in KB 123925. Download the .dmg installation file. Double-click the file to open it. After accepting the Parallels End-User License Agreement you will see the Parallels Toolbox installation window. 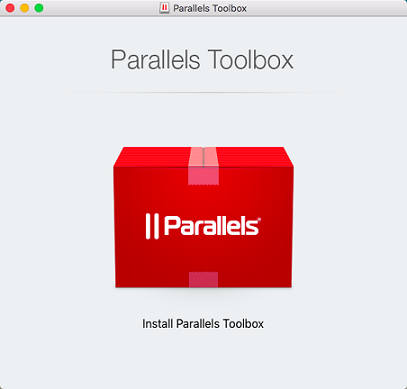 Double-click on Install Parallels Toolbox. The Parallels Tools icon will appear in the menu bar and you can start using the application. See KB 123904 to learn how to use Parallels Toolbox after installation.